This contest is now closed to further questions. We'll be asking Mr. Harbour the winning questions on April 11th and will showcase his answers shortly thereafter. Thanks for playing! Send David Harbour your question and you could be 1 of 5 Lucky Movie Lovers to WIN a HELLBOY Prize Pack! And your question answered by David Harbour which we'll feature on the big screen and online! All questions will be reviewed. Please be respectful. 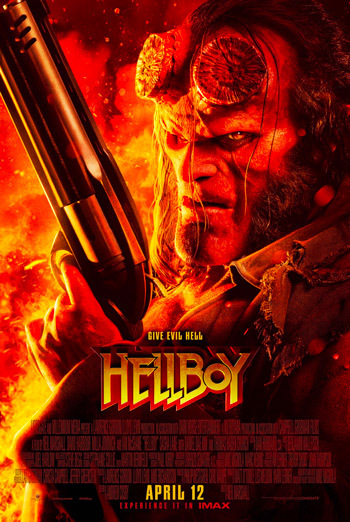 Question must be related to the 2019 release of HELLBOY and should not be about any of Mr. Harbour’s past roles (Stranger Things, Suicide Squad,…). The top 5 questions asked of David Harbour will be recorded for a Landmark Cinemas content spot to be released in part, or whole, online or in-theatre shortly after Hellboy's theatrical release.